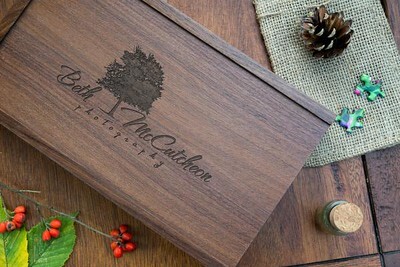 As one of the most valuable species of wood, black walnut is known for its naturally rich brown color. 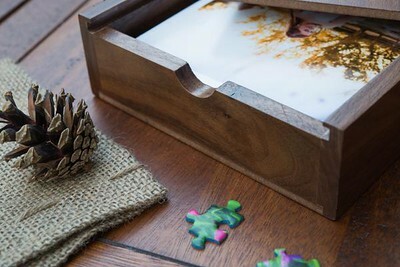 With its uniform grain texture and natural resistance to decay, it has been prized as one of the best choices for woodworking. 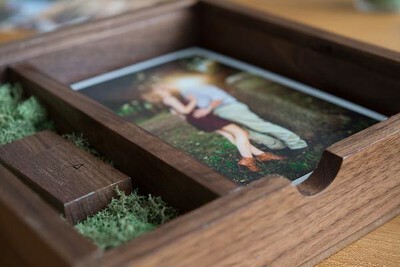 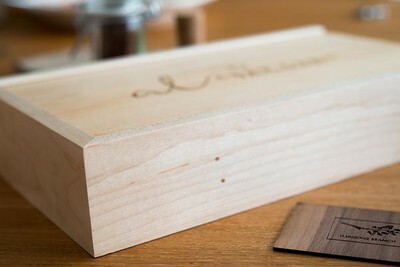 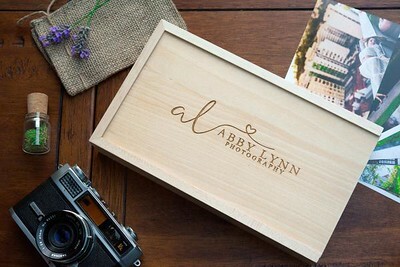 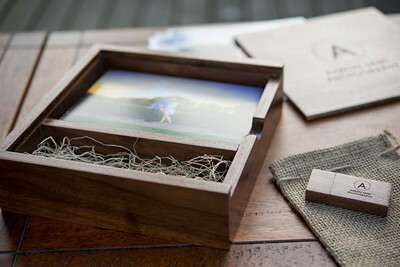 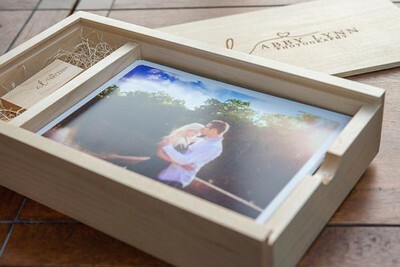 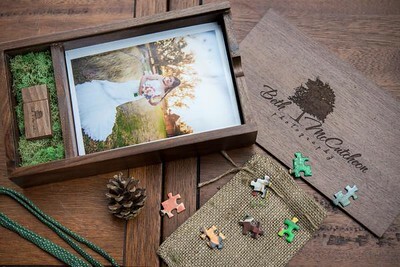 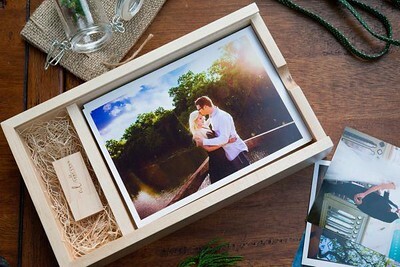 With a two compartment design to hold both a USB flash drive and a selection of 100 or so photos, let this photo box present your most prized artwork. 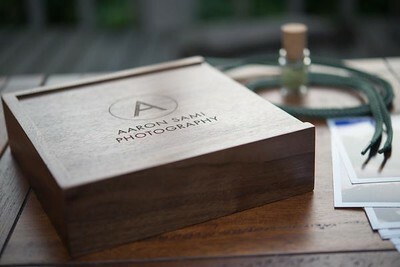 The sliding lid and the flash drive can be engraved with your choice of logos, names, etc.